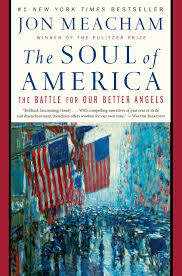 The Soul of America by Jon Meacham was a solid book subtitled The Battle for Our Better Angels. With the idea for the book out of the current divisiveness in the country, with the flames of it fanned out of the White House, Meacham chronicles various periods of American history and tells the story of how we've been before in periods of strife and ugliness, and made it through. Some of the battles fought for good that are noted in the book are against people after the Civil War who wanted to make it as if the South had won, the influence of the Ku Klux Klan at the turn of the 20th Century, isolationists prior to WWII, McCarthyism after, and segregation after that. "The arc of the moral universe is long, but it bends towards justice." 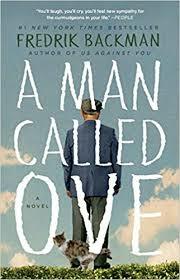 - Martin Luther King Jr.
A Man Called Ove by Fredrik Backman was the debut novel from Backman, and an enjoyable one to read that felt like a series of small stories well told about a cantankerous Swede, the need to be useful to others, and being loved by them. Published in 2014, with a Swedish movie adaptation in 2015, and forthcoming Tom Hanks movie slated for 2019, the book is a just a nice story of life.